3 Islands Phi Phi Yaoyai Island Khai Island. This is a bit of a whirl wind trip but these nice speed boats make that achievable, and a really wonderful day out. You get to visit 3 islands in the same day as well as a few other very popular locations and some amazing photo opportunities for your holiday memories. 3 Islands Phi Phi Yaoyai Island Khai Island, Phi Phi island or Phi Phi Don is the main island and where you will get to have a look around, you also visit the smaller Phi Phi Lay island. Do some swimming and snorkeling at Yaoyai island and then have lunch at Khai island. A wonderful day out on the water and a very memorable trip. If you are looking to see as much as you can in 1 day then this trip will be one of the trips we might suggest for you to check out. 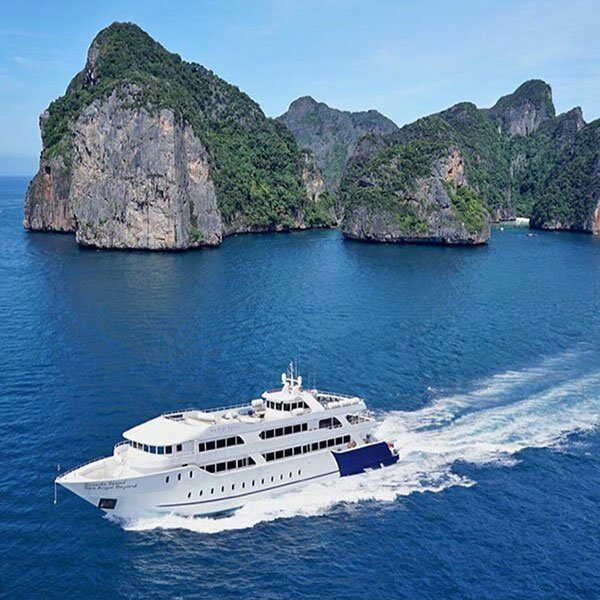 We have several other trips that we can offer you if you are looking to visit as many locations as possible all in the 1 day, our 6 island trip might be another good choice. 07.30-08.00 We will pick you up from your hotel by minivan, and take you to the Koh Siray Private Pier (Private Pier). 08.30 Arrive at Private Pier, Complimentary Coffee, Tea, Soft Drink and Snack are served. 10.00 Sightseeing Maya Bay, Loh Samah Bay, Pileh Cove and Viking Cave. 10.30 Visit Phi Phi Don Your leisure time for relaxing on the beach. 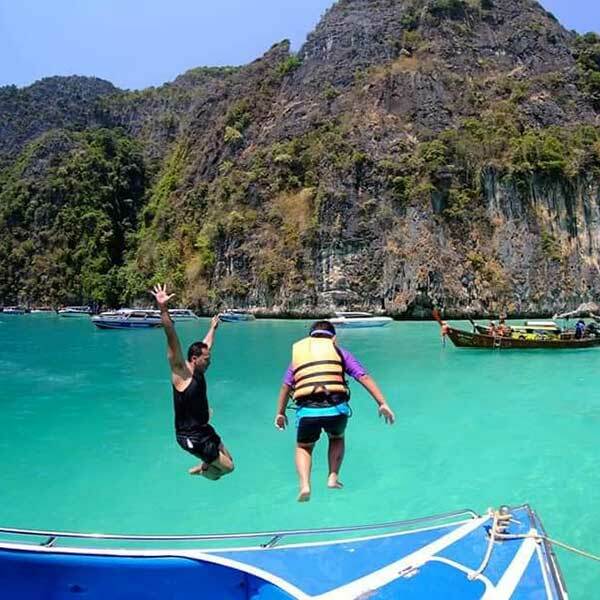 11.00 Depart from Phi Phi Don to Yao Yai Island enjoy swimming, snorkeling and relaxing on the beach. 12.30 Have lunch at Khai Nai Island. After lunch you can enjoy snorkeling, swimming and relaxing on the beach. 15.30 Depart from Khai Nai Island. 16.00 Arrive back to koh Siray pier and proceed back to your hotel.